It’s widely accepted that an important part of any employee engagement strategy is having a recognition program. People want to feel valued and acknowledged for their work, so organizations implement recognition programs to accomplish that by offering awards, plaques, mugs, pins, gifts, certificates, and/or bonuses. All of those things are nice and the concept sounds good – except for one thing. Recognition programs don’t work. They don’t improve employee engagement. Let me explain why they don’t work and offer an effective alternative. 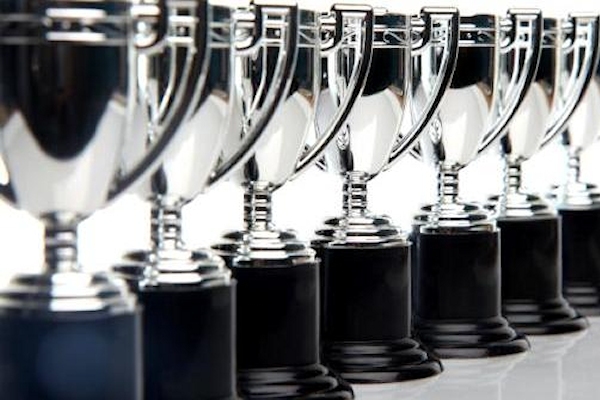 Recognition programs are ineffective for two very important reasons. The first reason is that they are structured, mandated programs. By that, I mean that the rewards (the tangible items of recognition) are related to prescribed actions. In other words, “if this, then that.” It’s what corporations tend to do to ensure consistency across the organization. It allows the program to be properly and objectively administered, and it provides a degree of accountability. But there are two fundamental problems with this structured solution. The first problem with a structured approach is that it produces the opposite result with respect to engagement and productivity. Initially, there will be an uptick in engagement, but in short order the program becomes a detriment. Daniel Pink details this dynamic well in his book, “Drive”. Once a reward comes to be expected, it no longer acts to motivate and in fact, produces declining results. The second problem with a structured approach is that it becomes impersonal and somewhat insincere. Recognition ends up bestowed upon someone because the program dictates that recognition be made. An impersonal acknowledgement has virtually no effect on engagement. The second reason recognition programs are ineffective relates to the fundamental definition of recognition. Recognition is something that is generally done to acknowledge a person’s achievements. Of course, we accomplish things all the time, but the reality is that very little of what we accomplish is noteworthy. Consequently, recognition is uncalled for or is offered insincerely. If we really want to drive engagement and productivity, we need to acknowledge a person’s efforts, more so than their achievements. Additionally, this acknowledgement needs to be sincere and personal. The key to higher engagement and productivity is to show appreciation rather than offering recognition. Appreciation is generally personal and heartfelt, given from one person to another. And it’s often spontaneously shown as a response to the effort someone put into completing a task. It is an expression of gratitude for someone’s effort, and its impact is immediate and long-lasting. Telling someone you appreciate their effort in completing a project over the weekend has a far greater impact than offering a token of recognition. Plus, the degree of appreciation expressed is generally in direct proportion to the effort and/or sacrifice made by the person. Expressing appreciation makes a difference. If you really want people to truly feel valued, then show sincere appreciation and skip the trinkets. I personally find the appreciation approach very effective. I am a consultant and create a weekly top management meeting at the client site. This meeting starts with an appreciation round, and each member is expected to convey at least one appreciation for a task done in the previous week. This appreciation could be for someone in the room or someone outside, typically from another department (at any level). There is one person in the meeting who is tasked with communicating the appreciation to the person not present in the form, “The management committee in its meeting appreciated you for … “. Done well this does not become regimented and gives a big charge to people. Thanks for sharing your success with this, Vinay! Thank you for sharing your ideas regarding recognition programs. The title of your essay captured my attention immediately because I am a sales manager that is responsible for employee on boarding, engagement and incentivizing. You struck a nerve when you defined the difference (as well as the results) of sincerely expressing appreciation versus the rehearsed, dead of originality detritus that bowls the recipient over with complete embarrassment and eye rolls from her workmates! Successfully recognizing anyone, any age in any environment should resemble the best practices of being a parent. I didn’t reward my children for fastest swim times or serving aces. I recognized their efforts and progress. The key word was sincerity. Another view. Employees have numerous frustrations with both the enterprise and their business unit/boss. What they do not have is a safe haven to express their frustrations and input for improvement. If the purpose of a recognition program is to improve engagement, then here’s an approach which proves that trinkets, of any size, are not nearly as motivational as seeing employee input implemented because it is correct, irrespective of who’s toes are stepped on. In one of many cases we were implementing our Sustained Earnings Improvement process, an employee suggestion program with politics, culture and silos completely suspended. The CEO kills a sacred cow executive perk and gives employees credit for their suggestions. On the day he made the announcement out project had 800 suggestions in three weeks from 21,000 employees. Seven days after the announcement of the sacred cow’s demise, we had 7400 suggestions. No one got a thing except the satisfaction of knowing someone was listening to them. A few weeks later the number had grown to 12,000. The result, a sustainable SG&A reduction of $300 million, capital of $200 million and inventory reduction of $45 million. Works the same way every time we do it. Human nature is a wonderful thing once you understand what drives it. Trinkets are trinkets, hardly a transformational catalyst. Fantastic example, Jim. Thanks for sharing your insights and wisdom.